Alert yourself and your crew to a dangerous buildup of Carbon Monoxide with this easy-to-install alarm. Fueled appliances such as galley stoves and heaters can give rise to a dangerous level of Carbon Monoxide. Therefore, along with adequate ventilation, it is a smart idea to install an alarm. 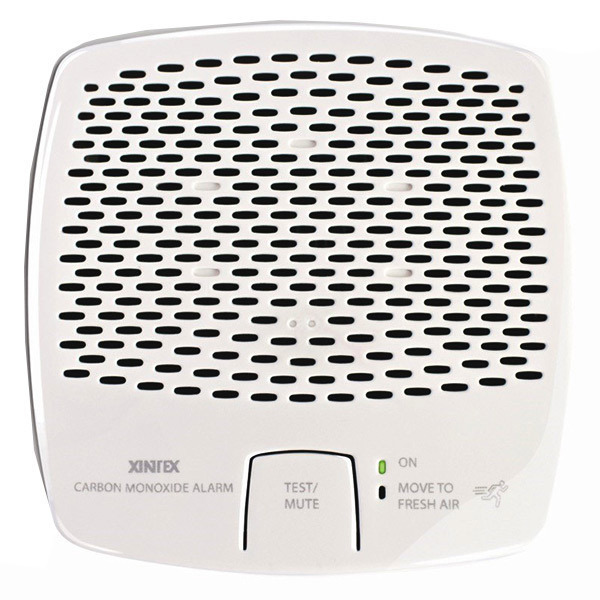 The FIREBOY-XINTEX CMD5-M CO alarm uses a sensor operating with a microprocessor to measure Carbon Monoxide (CO) levels. Using a “Time Weighted Average” (TWA) process, it monitors CO concentration, temperature and time to calculate levels of Carboxyhemoglobin (COHb). COHb is the degree to which the oxygen carrying capacity of the blood is impeded by the union of carbon monoxide to the hemoglobin and is expressed as a percentage. The human body absorbs CO easier than oxygen and COHb is the ratio of absorbed carbon monoxide to oxygen in the bloodstream. The CMD5-M alarm calculates this COHb as a function of time and determines the appropriate alarm response. For installation, warranty information and additional details, see the Xintex Marine Carbon Monoxide Alarm Owner's Manual.